Volvo V60 Cross Country Interior, Sat Nav, Dashboard | What Car? As is typical with Volvo, the V60 Cross Country has a supremely comfortable driver’s seat with power adjustment on the options list. 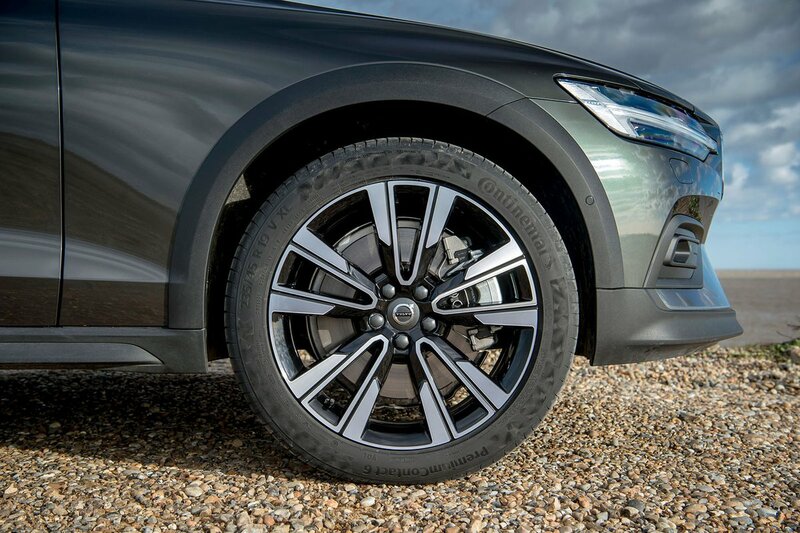 There’s oodles of movement to the seat and steering wheel, the pedals are perfectly aligned with both and the driving environment is wonderfully natural and relaxed. It’s a pleasing contrast from the Audi A4 Avant, Mercedes C-Class Estate and BMW 3 Series Touring, each of which serves up slightly offset pedals and/or bulges in their transmission tunnels. Thanks to relatively slim front and rear pillars, seeing out is fairly easy, plus you get front and rear parking sensors as standard. Vision is impressive at night, too, thanks to standard LED headlights. These can optionally be upgraded to adaptive ones that can adjust their beam for optimal illumination. The Cross Country comes with a 12.3in digital screen in place of traditional analogue dials. Not every Audi A4 has such technology as standard, but the German brand’s optional Virtual Cockpit display is more configurable. Nevertheless, the Volvo’s cluster still puts plenty of useful information – including media, telephone and navigation data – right in front of the driver. 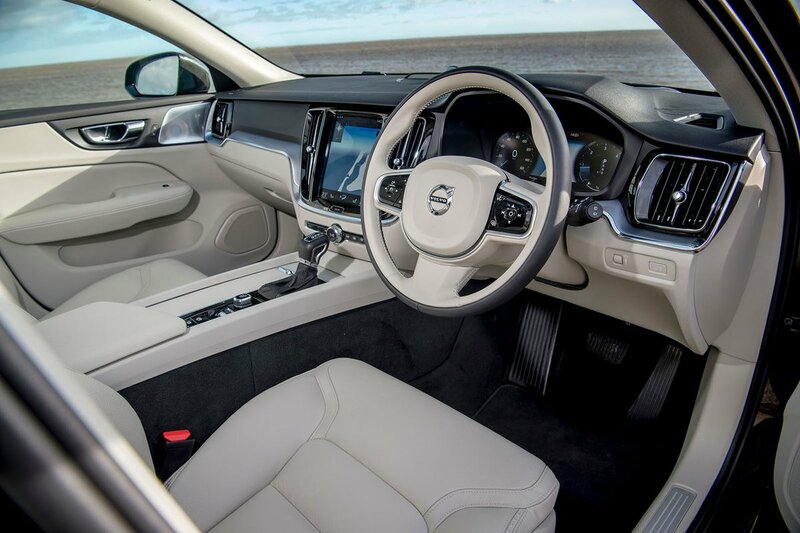 Recently, Volvo has made quite a name for itself when it comes to great interiors, and the Cross Country is another fine example. Material quality is very close to the benchmark A4’s in terms of sturdiness and trumps that of the C-Class and 3 Series. What’s more, despite a minimalist Scandinavian design, the interior feels sumptuous, light and airy and makes its German equals appear a little glum by comparison. Mind you, such minimalism has its drawbacks. 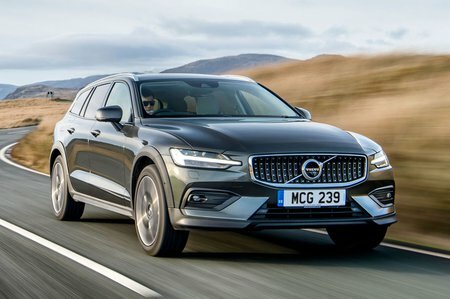 As with other Volvos, the dashboard is dominated by a 9.0in tablet-style touchscreen that has allowed the designers to slash the number of controls to create an uncluttered feel. However, while it looks great, we rather miss the more intuitive, less distracting nature of physical buttons. You see, swiping, pinching and scrolling – just like you do with an iPad – is fine when you’re stationary, but makes simple tasks such as changing the radio station impossible without glancing away from the road. Infotainment systems that use rotary dial controllers are less distracting, BMW’s iDrive being our favourite. Still, at least the screen is ultra-sharp and you can operate some functions through voice recognition. It’s packed with features, too, including sat-nav and a DAB radio. There’s also Volvo On Call, an app that lets you perform certain functions from your smartphone, such as remotely preheating or cooling the interior or sending an address to the sat-nav. Meanwhile, Apple CarPlay and Android Auto smartphone integration is available as an option.